6 sizes for you to choose, different size fits your different needs. The lids had enough elastic allowing you to have a secure cover for a variety of different containers. 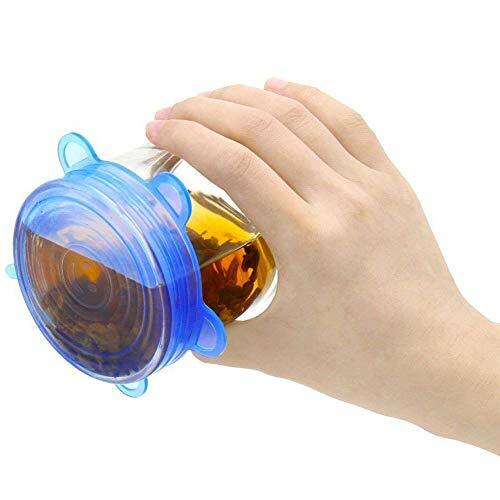 Made of non-toxic and environmental silicone material, practical and durable to use, easy to clean. 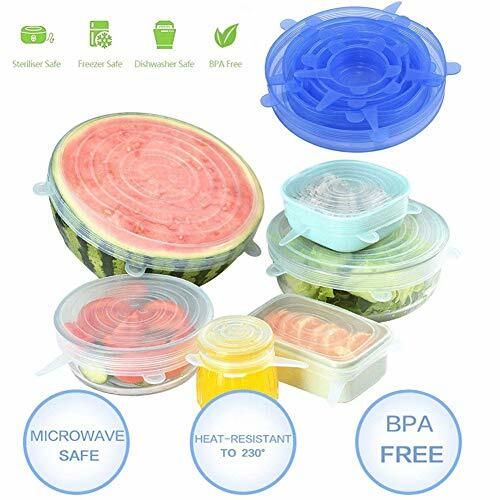 The silicone lids made of 100% food grade silicone approved dishwasher and freezer safe and Microwave-safe & heat-resistant to 450 F come out the same as you first saw it. 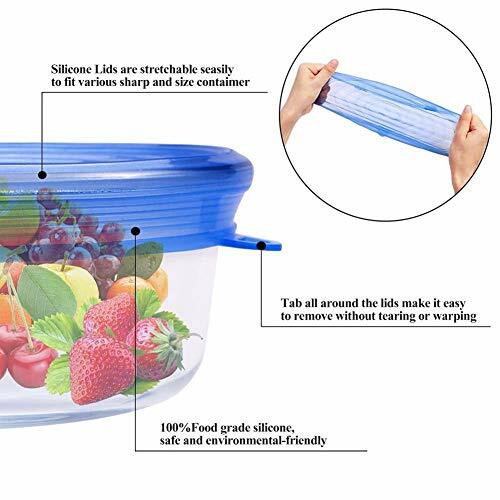 Silicone Stretch Lids are food safe and a great way to eliminate nasty and chemical filled plastic wrap from your home. SAVING FOOD : Don't throw the leftover food away! 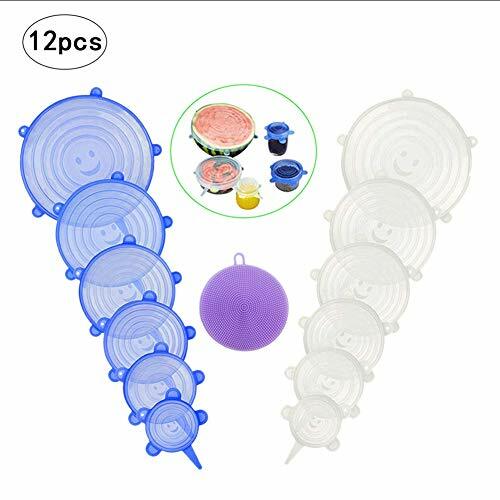 Simply cover it with these silicone lids and it will stay fresh until you get hungry again! 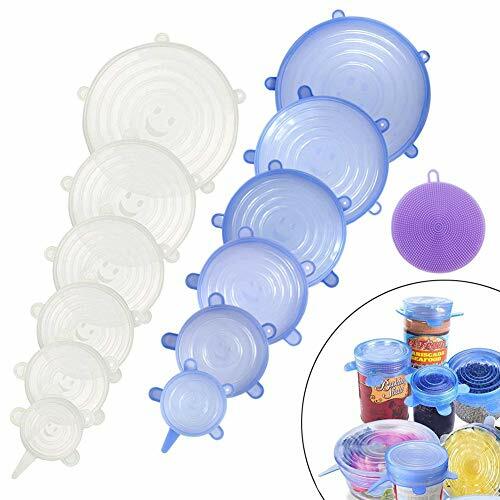 The silicone food saver lids can be used to cover cooked food, fruit, salads, sauces, as well as drinks like coffee, tea, juice and more. 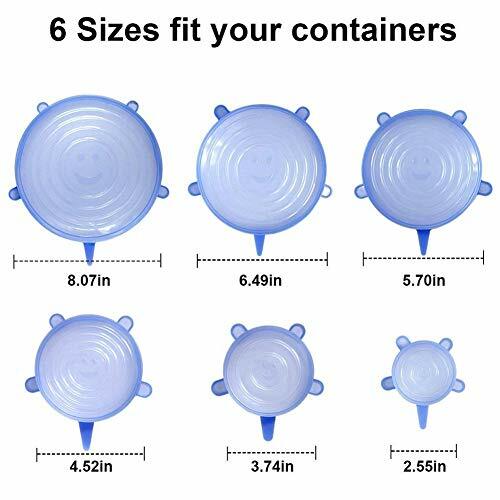 VARIOUS SIZES: The set includes 6 clear and 6 blue silicone covers in various sizes. 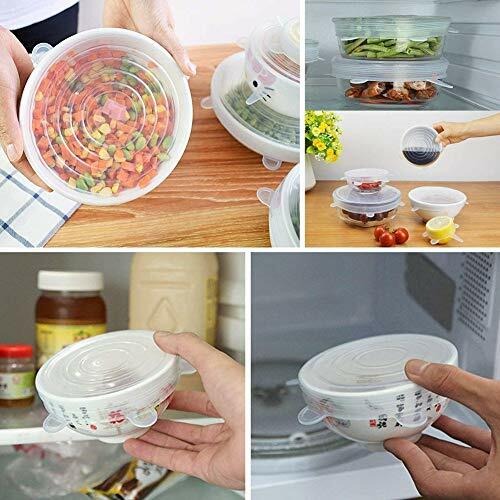 The food lids will easily fit most bowls, pots, containers, mugs, cups, cans, jars, and you can even use them to cover your half-cut melon or watermelon. SAFE MATERIALS: Your safety is our top priority, for this reason we've made sure the silicone stretching lids are BPA-free, food grade and completely nontoxic. You can therefore use the stretch lids all the time without worrying about yours and your family's health! 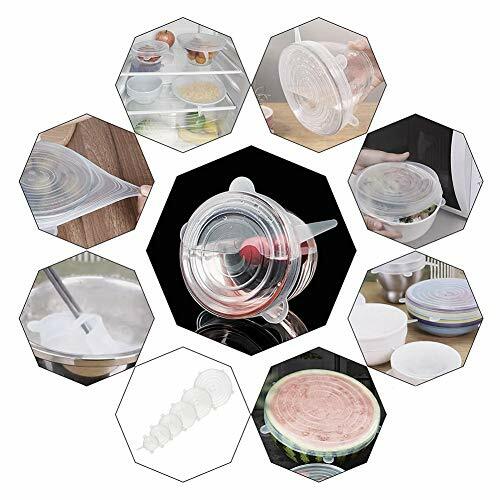 SAVE MONEY: The silicone stretch cover lids will reduce your plastic waste and help you save money, since you will no longer need to buy cellophane to cover your leftover food fresh. 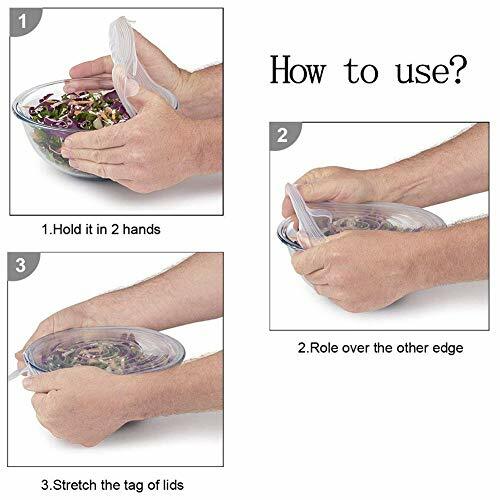 Plus, the bowl lid does a much better job at keeping your food fresh! If you have any questions about this product by WDWYW, contact us by completing and submitting the form below. If you are looking for a specif part number, please include it with your message.